With our deepest grief we regret to announce the pass-away of our beloved Professor Alberto Zanchetti. He was the number one fighter against hypertension, his name being equal to European Society of Hypertension who’s founding is due to him. The was the organisor of the first nine European Meetings on Hypertension of International Society of Hypertension (between 1983-1999) that led to the necessity of the creation of a European Society of Hypertension (February 24th 1989) affiliated to the International Society of Hypertension. He has been in the Guidelines Committee of the World Health Organization and the International Society of Hypertension since its inception. He has also coordinated the Writing Committee of the 2003 European Society of Hypertension-European Society of Cardiology guidelines for the management of Hypertension and has been a member of the Task Force responsible for the 2007 guidelines, and has been a coordinating member of the Task Force that has prepared the 2013 edition of ESH-ESC guidelines. He was also a member of the Task Force that has prepared the 2018 edition of ESC-ESH guidelines. Romanian Society of Hypertension has a deepest respect to Professor Alberto Zanchetti who showed us a continuous support since its foundation in 2011 until present. Professor Alberto Zanchetti has made us the honour of becoming Doctor Honoris Causa of the “Carol Davila” University of Medicine and Pharmacy in 2014. He has honored us with its presence to every RSH Congress since the first in 2012, up till now, increasing the scientific values of our Congresses. 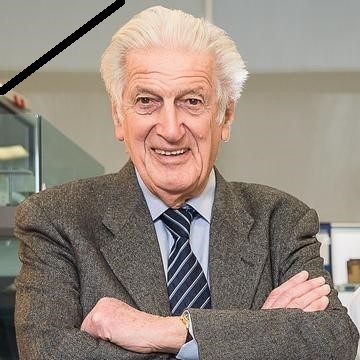 He was supposed to give a lecture on “Antihypertensive Treatment: Past, Present and Future” in the session dedicated to 2018 ESH-ESC Guidelines on arterial Hypertension in our up-coming congress this October, but unfortunately we will keep a moment of silence in the memory of his pass-away. May Good keep him in his hands for all the good the he made to thousands through his life-time achievements that will outlast him. Will try to keep your life-time work alive.